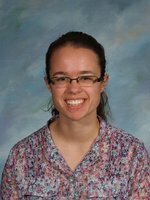 Ms. Stone attended Oklahoma Baptist University and earned her degree in Instrumental Music Education in 2014. She has taught Middle School band, Winter Guard, and High School choir for three years. She is now the head band director of the High School Band and has taught Jazz Band, Instrument Repair and Music Appreciation since 2014 in Anadarko.